A bridge can help replace missing teeth, maintain facial structure, and improve your bite. Although there is more than one kind of bridge, they generally consist made up of crowns that are placed on either side of the missing tooth or teeth, with false teeth, known as a "pontic", between the anchoring teeth, also known as abutment teeth. These false teeth can be made from a number of materials including alloys, gold, and porcelain. Why Do I Need Dental Bridges? Where there is a missing tooth, you will need natural teeth or dental implants in order to be a candidate for dental bridges. Call us to know more about how dental bridges can benefit you. The process is completed in several visits. Our dentist will first prepare the anchoring teeth to hold the bridges and place a crown. We’ll then take impressions of your teeth to prepare the pontic, crowns and bridge. We’ll place a temporary bridge over the exposed area to protect it from damage while the customized bridge is prepared in the lab. Once the bridge arrives, we’ll place it after removing the temporary bridge and ensure that it fits well. Once we’re sure of the fit we’ll cement it in its place. This may take a few weeks. What Are the Side Effects of Dental Bridges? Dental bridges are safe, however, a poorly fitted bridge may cause the tooth to decay. This is why we suggest that you visit experienced dentists like Bobby Jivnani to make sure you don’t have to suffer. What is the Cost of Dental Bridges in Richardson? The cost depends on the type of bridge selected. We offer affordable dental bridges in Texas and also accept most major insurances. Call us so that we can evaluate your situation and help you understand the costs. Why Should I Choose Bobby Jivnani for Dental Bridges? 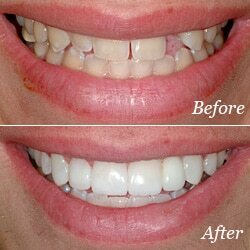 We are among the most well-known dental practices in Richardson. Our dentists are experienced and will answer all your queries regarding dental bridges and other dental procedures performed at D&K.